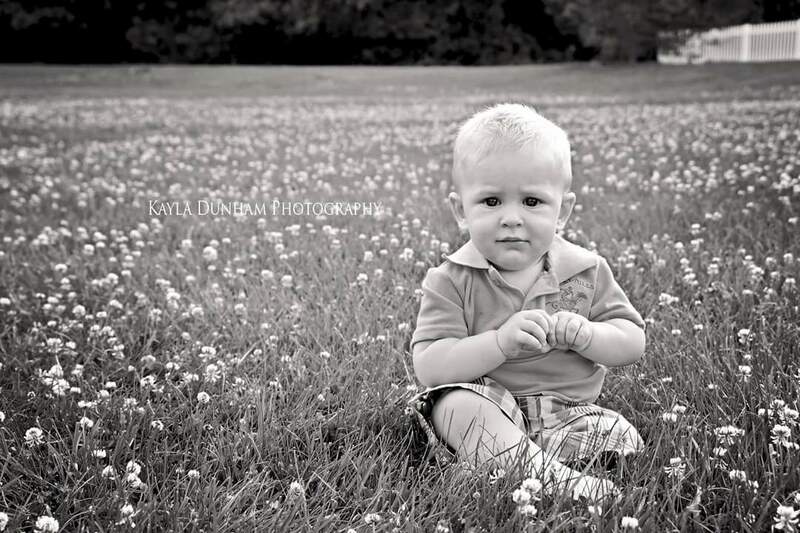 My son Grayson has learned to be my human model for pictures since he was born. My husband said yesterday, “He is going to have so many pictures to look back on when he’s older.” I don’t know about you, but that has always been one thing I loved, looking back at old pictures seeing just how much I’ve changed through the years. This weekend was so beautiful outside. The sun was starting to set and behind our apartment was this open grassy area I hadn’t really had a chance to scope out. 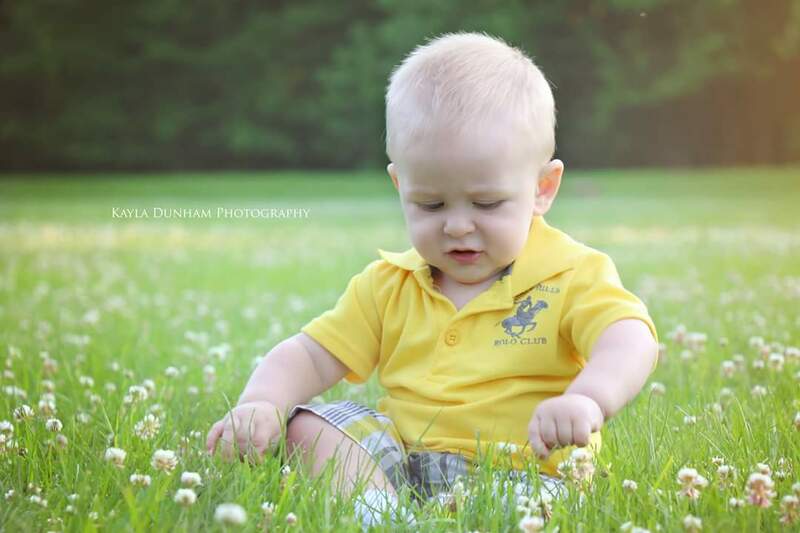 I changed Grayson and we ventured out so I could snap a few shots. 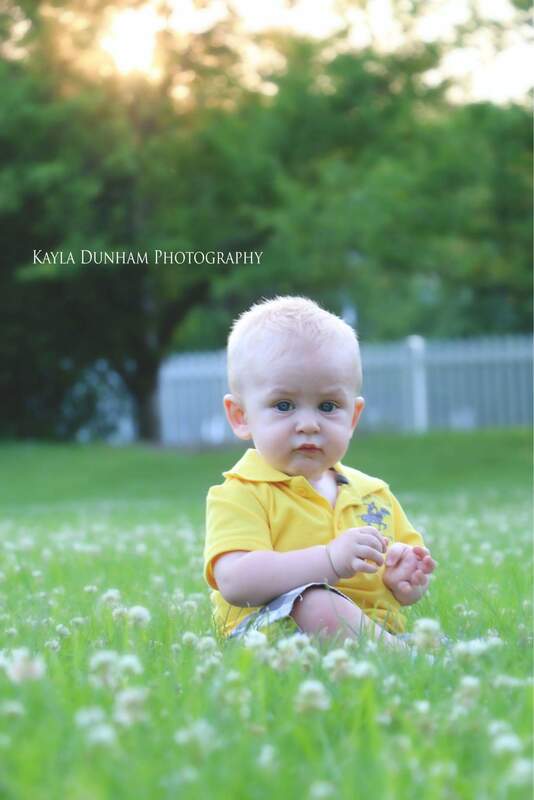 The area was beautiful, the lighting was perfect, and he did very well for me other than trying to eat one flower. Now that he is getting older taking pictures and keeping his attention is becoming more difficult. Good thing I can make weird noises and funny faces to get his attention! 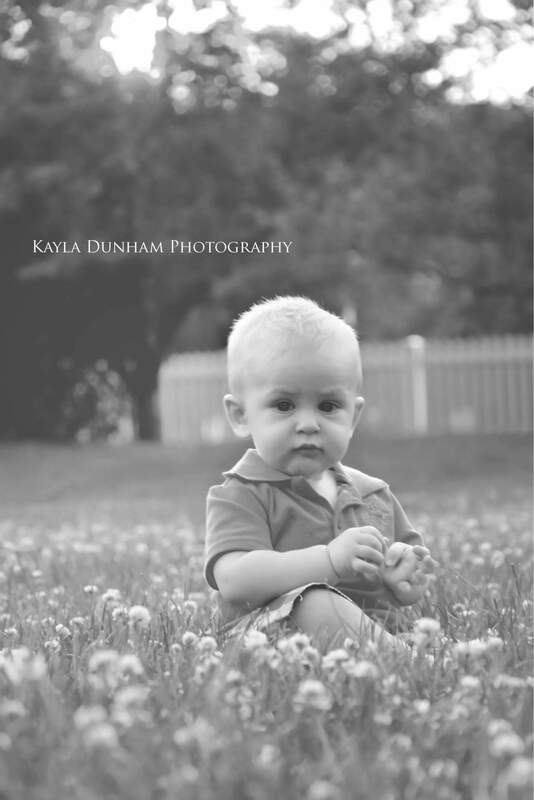 Be sure to check out Kayla Dunham Photography on Facebook and give it a LIKE!